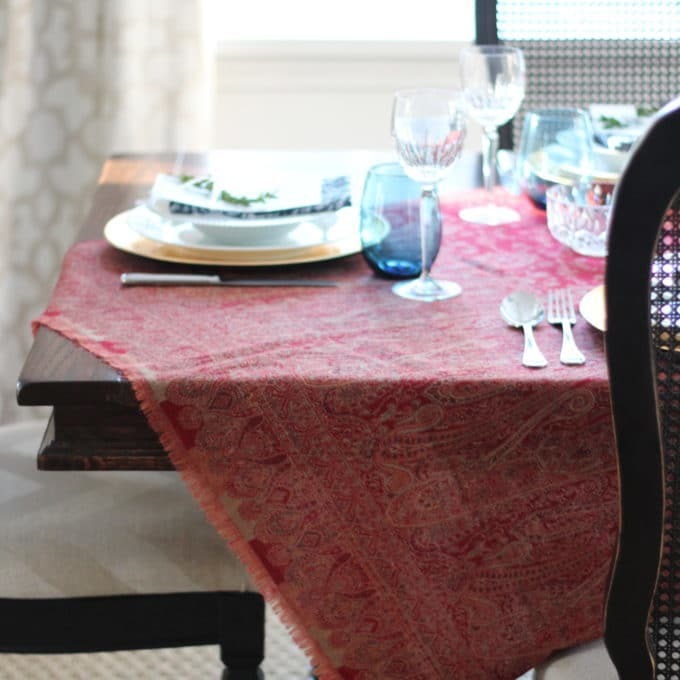 Today is the last day in the four week series with Jennifer of Dimples & Tangles, Shelley of Crazy Wonderful, Julie of Less Than Perfect Life Of Bliss, Becky of This Is Happiness, Katie of Miss Dixie, and Pam of Simple Details and today we’re all sharing some ideas for the dining room! 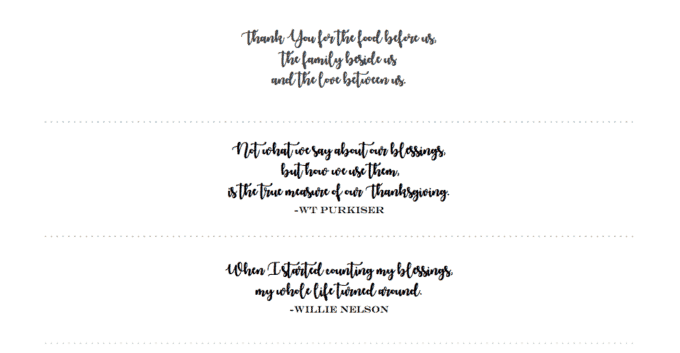 Stay tuned at the end of this post for a printable for your Thanksgiving table! Today my theme should be Keeping The Holidays In Perspective……. 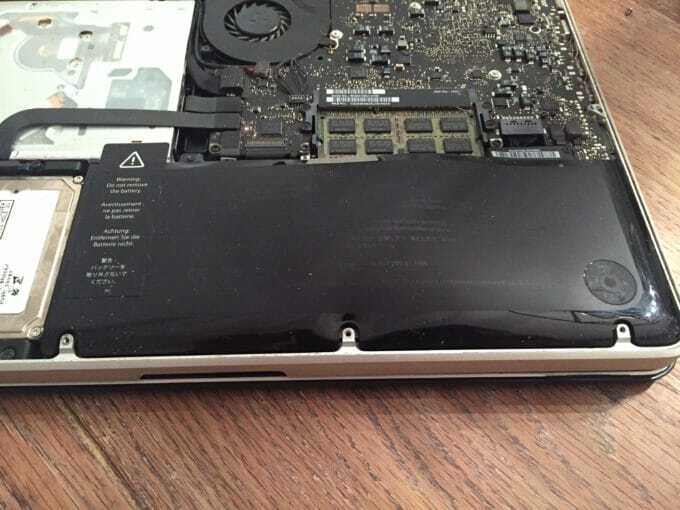 This week my laptop battery imploded (I’m hoping the Apple Geniuses can retrieve all my data on here!) AND our stove has decided only one burner is going to work. The week before Thanksgiving! BUT! Life happens and what did I say about Taming The Holiday Crazy? If all else fails just order takeout and enjoy time with your friends and family! 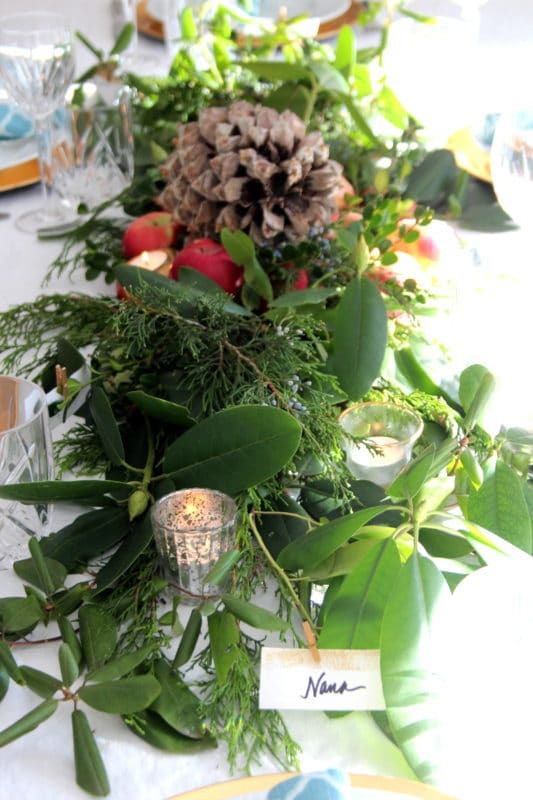 One of the things I love about hosting the holidays are the little details, especially on a table. 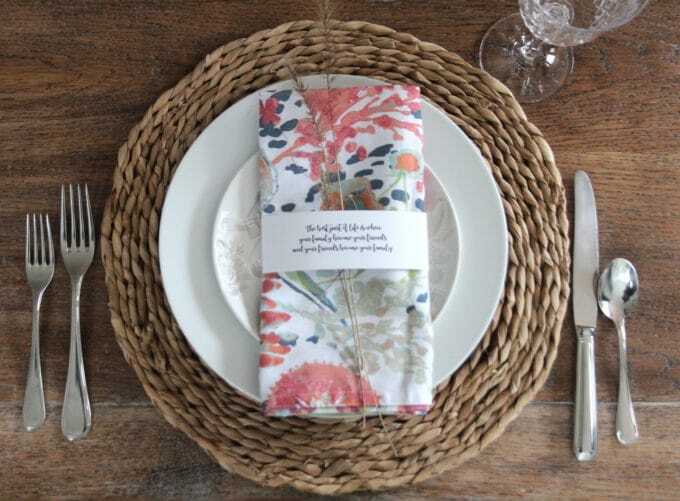 Setting your table, or at least pulling together what you’ll need for it, is a great thing to do well in advance so you aren’t a nutcase the day of, and can actually feel organized and together as your family and friends are walking through the door! 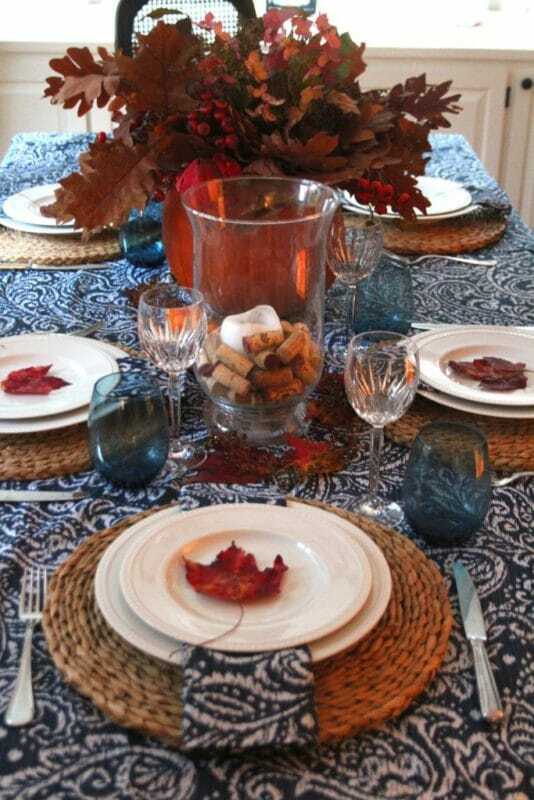 Whether your holiday table is fancy or casual, a few simple touches can go a long way to make it festive and special. 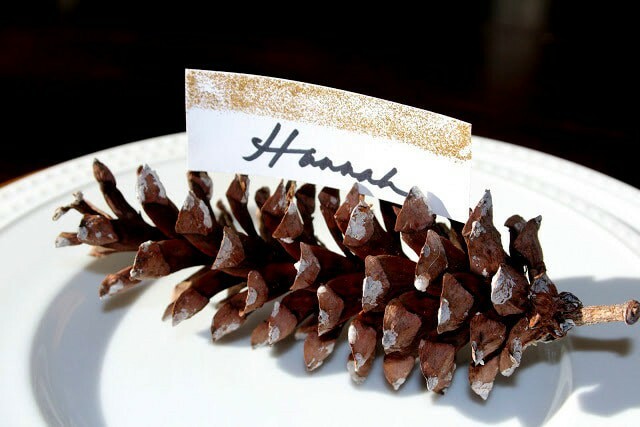 and we used them as placecards tucked into pinecones. I saved them in a baggie……. …..and last year they were clipped to the fresh greens I foraged from the yard with mini-clothespins. 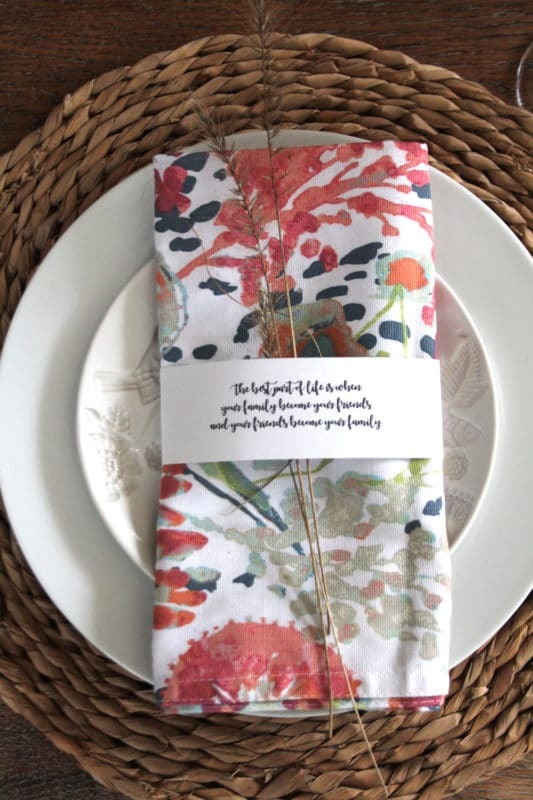 This year I created paper napkin rings with quotes for each place setting. And I made you a printable verstion too! 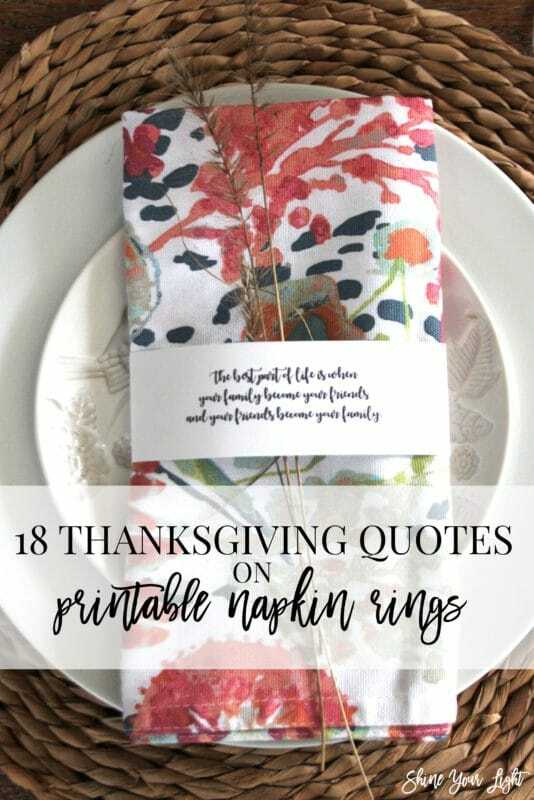 There are 18 quotes in all, and if you have more than 18 guests for Thanksgiving dinner, just print 2 copies and have a few repeats. 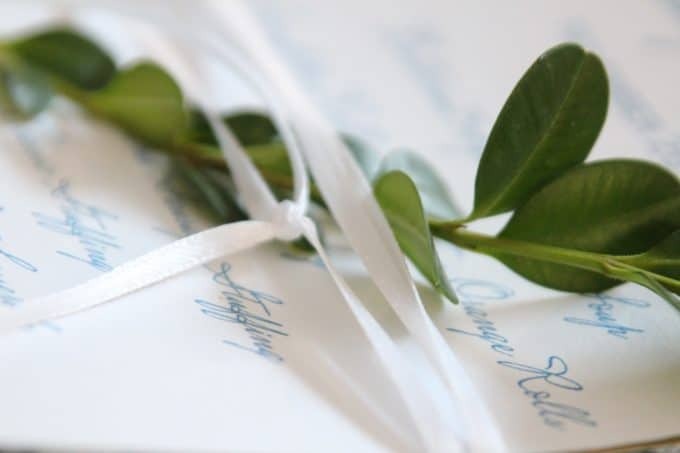 Just print the quotes on cardstock (4 pages), cut on the dotted lines, then wrap around a flat folded napkin and tape the ends in the back. 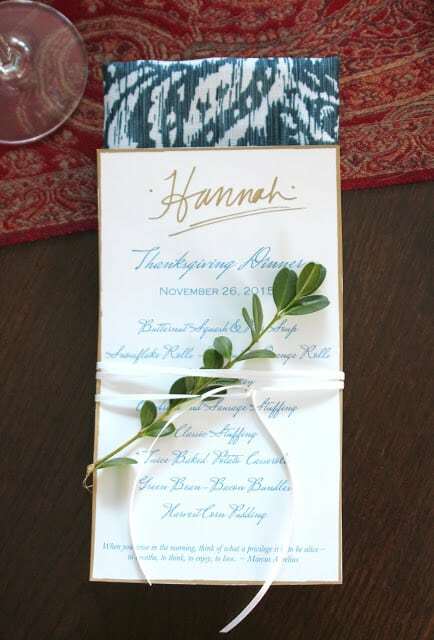 You could even write your guests’ names on them as placecards. 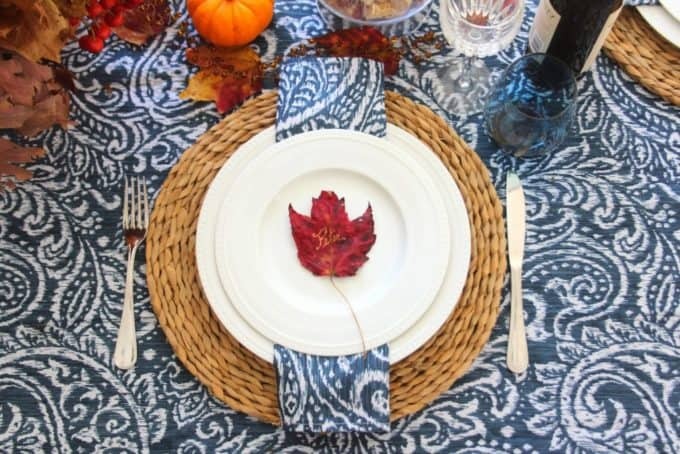 You can place the napkins at each place setting on your table, or put them in a basket if you’re serving a buffet. 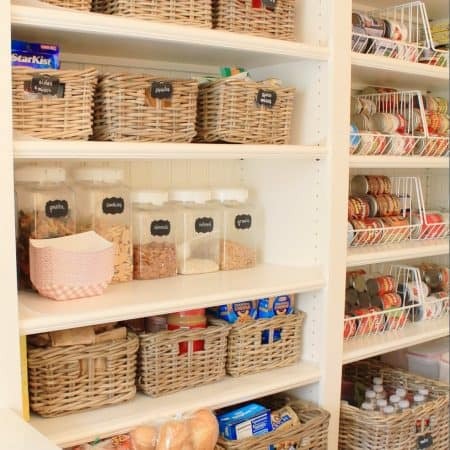 The best part is that it takes no time at all and you can get it done well in advance! 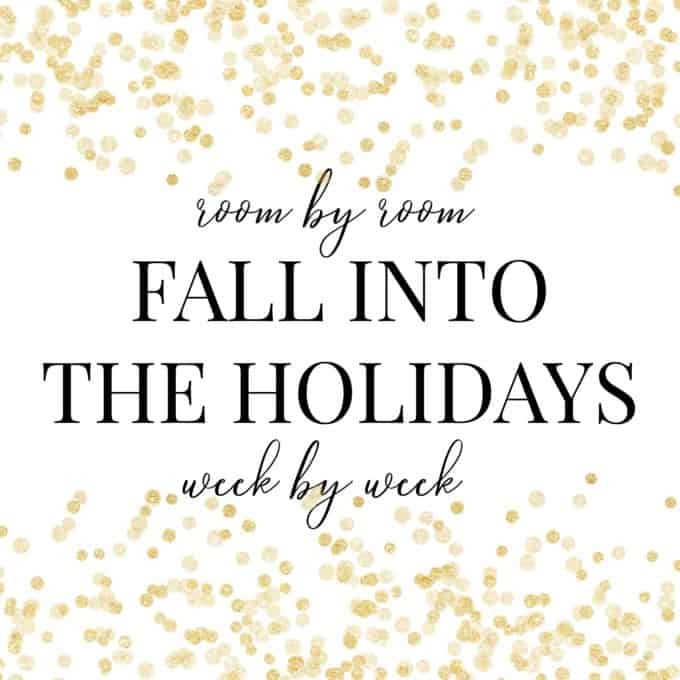 Now stop by the the rest of the the Fall Into The Holidays posts and see what fantastic ideas these friends have for you! If you’ve ever had the swollen battery issue too, I’d love to hear how it worked out for you. Was your computer saved? Did you replace the battery? Is it worth salvaging an old laptop? Do tell! Pin this printable for later! 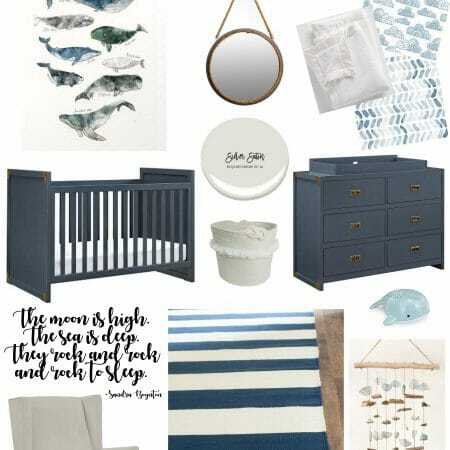 I love these quotes!!!! Thanks for sharing….and good luck with your computer, oh boy, computer issues are never fun! No they aren’t Debbie! Thankfully I have a backup laptop since my husband changed jobs and they gave him one, so I have his old one – but I’d love to get my photos off of mine! It’s crazy how attached we all are to phones and computers isn’t it? I hope your computer can be saved…ugh – not fun! 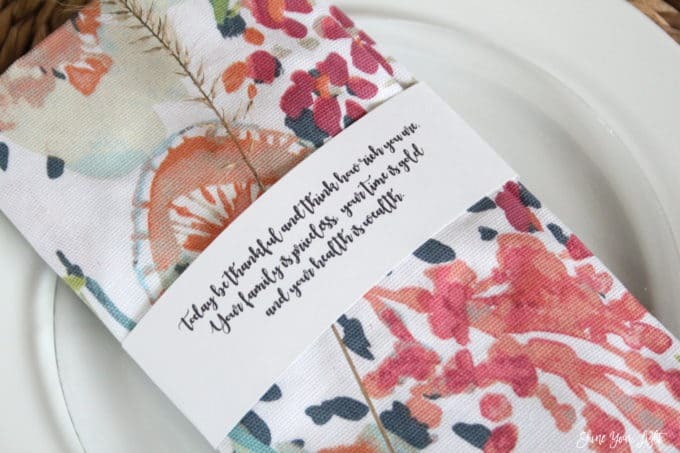 These quote napkin rings are the cutest idea! I also love that you saved the place cards the kids worked on. Great ideas, Lisa! 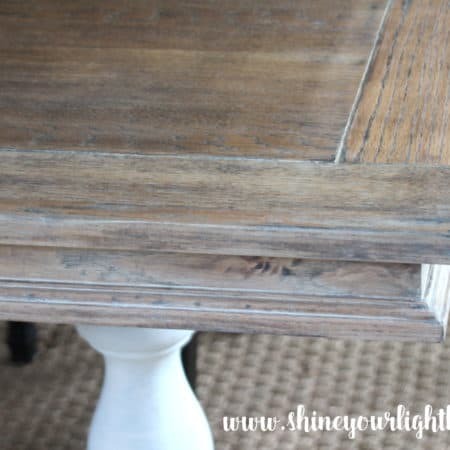 Shelley, I have tons of place cards from the kids through the years that I love to use. 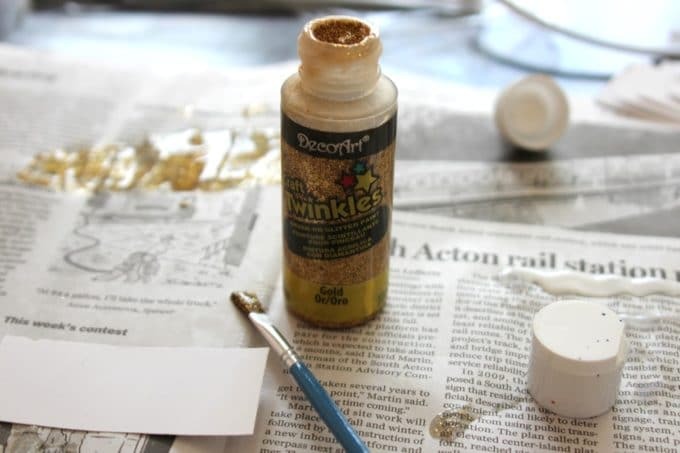 I used to have them sit at the table and make them while I was cooking around the holidays or when we were having friends for dinner, to keep them busy and be able to have my eye on them! That is crazy about your computer!!! 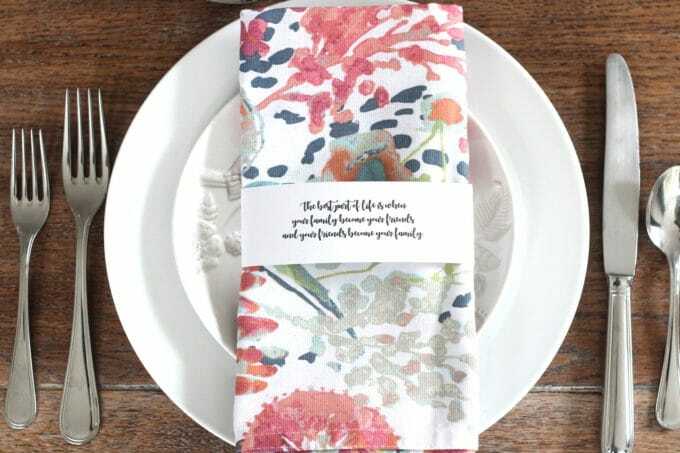 Ok, love all of your placecards, and the quote napkin rings are gorgeous and so perfect this time of year! Thanks Shelley! Doing this series with you was so much fun! 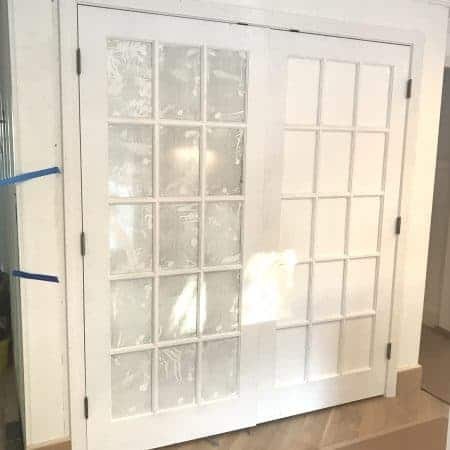 Thanks for sharing all your beautiful and smart ideas! Love these quotes Lisa! What a fun and meaningful idea. I hope you get the computer nightmare figured out – did you back up your data? Thanks Jenny! I have an external hard drive but haven’t backed it up in a while. Of course! Hard week! But your decorations are fabulous! Good job! So sorry to read about your laptop and stove. Hoping your data will be able to be retrieved too! 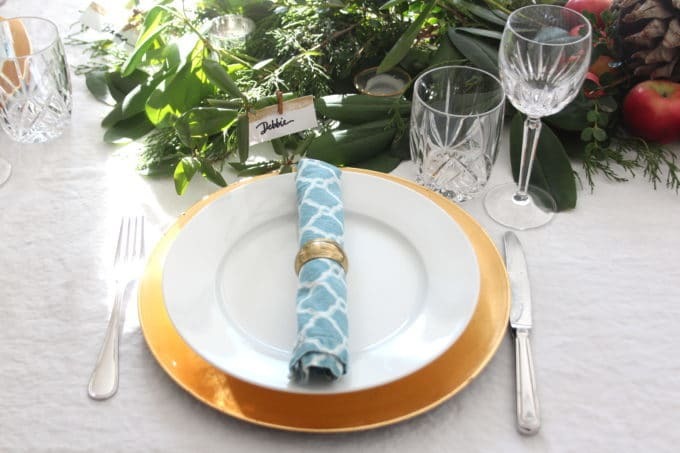 Love your beautiful table setting ideas. 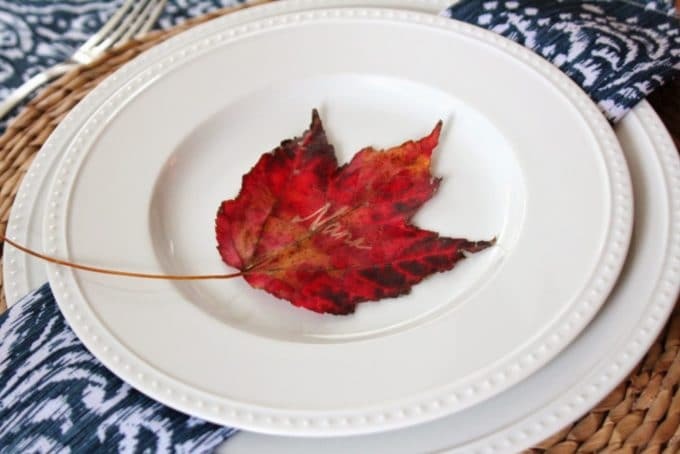 I hope you have a wonderful Thanksgiving with your family!